Made from low stretch dacron woven to a very fine diameter. 20 lb. / 100 yd. 20 lb. / 250 yd. 30 lb. / 100 yd. 30 lb. 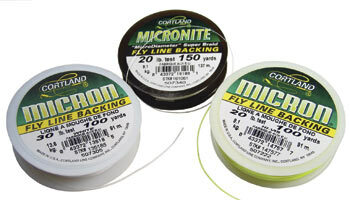 / 250 yd. 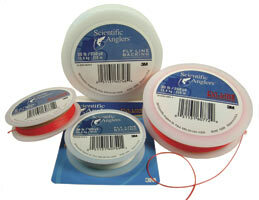 Premium quality fine diameter braided fly line backing.